Psychology Research Laboratories are dedicated to former Head of Department. 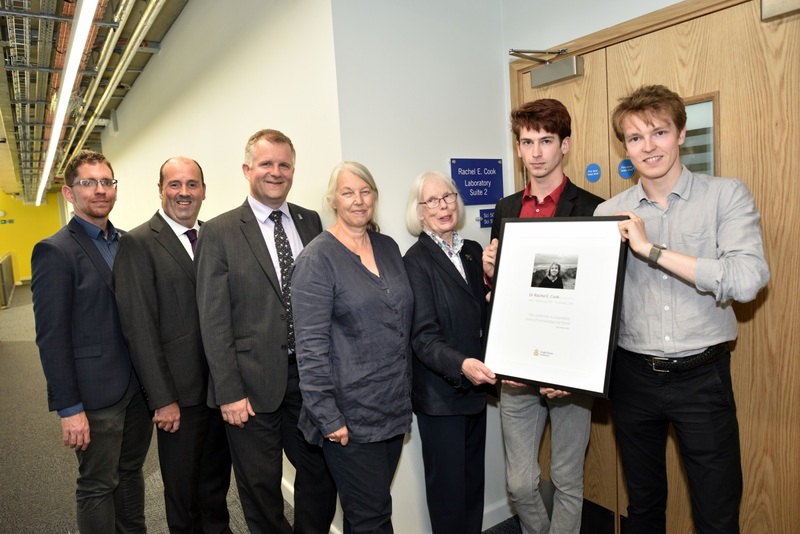 Anglia Ruskin University has dedicated its new Psychology Research Laboratories in memory of Dr Rachel Cook, the former Head of the Department of Psychology who died earlier this year. Rachel, who passed away in January following a prolonged battle with breast cancer, joined Anglia Ruskin in 1997 as a Lecturer in Psychology in what was then the School of Life Sciences. During her time at Anglia Ruskin, Rachel was instrumental in the development of both the Department of Psychology and the Faculty of Science and Technology. As Programme Leader and then Head of Department (2012-18), Rachel facilitated the department’s British Psychological Society accreditation, served as Chair of the Faculty Research Ethics Panel, led preparations for Anglia Ruskin’s successful Athena SWAN award and helped thousands of students achieve their undergraduate and postgraduate degrees.